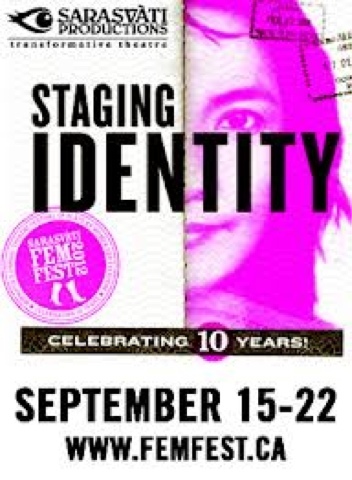 My first project upon returning to the fair 'Peg is to direct 4 excerpts from plays at the annual FemFest, presented by Sarasvati Productions. These 4 plays will each be presented once between 19 September and 22 September, as an offering in the studio theatre between the two full productions each evening. Tickets for the festival are available through the site; I strongly recommend checking out as much as you can at this excellent event! I recently did a Q&A for the festival's blog, which you can read here. Have a look to learn my favourite word, and my advice to actors.